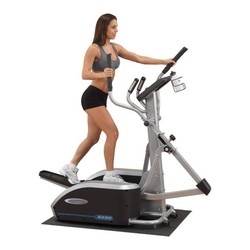 Body Builders Gym Equipment - Fitness Equipment, Treadmills, Ellipticals, Weights, Exercise Bikes, and More. The combination of a natural stride, quality manufacturing and superior programming have created the latest evolution in cardio-training. Designed for extreme durability, the E5000 offers a commercial warranty. Active Balance System Simply engage the pin for traditional "machine style" bench press, or, pull the pin for "barbell style" bench press. The TR3000i treadmill is a durable, reliable treadmill that you can walk, jog or run on with confidence. This solid, durable and stable treadmill supports serious runners with a 3.25 HP motor, 20" x 60" running surface and more. Copyright © 2018 by Body-Builders. All rights reserved. Body-Builders Fitness Equipment- Providing Excellent Equipment to help you maintain that healthy body you deserve. Treadmills, Ellipticals, Exercise Bikes, and Weights. Everything the fitness conscience need at your fingertips. Providing Excellence Since 1987.